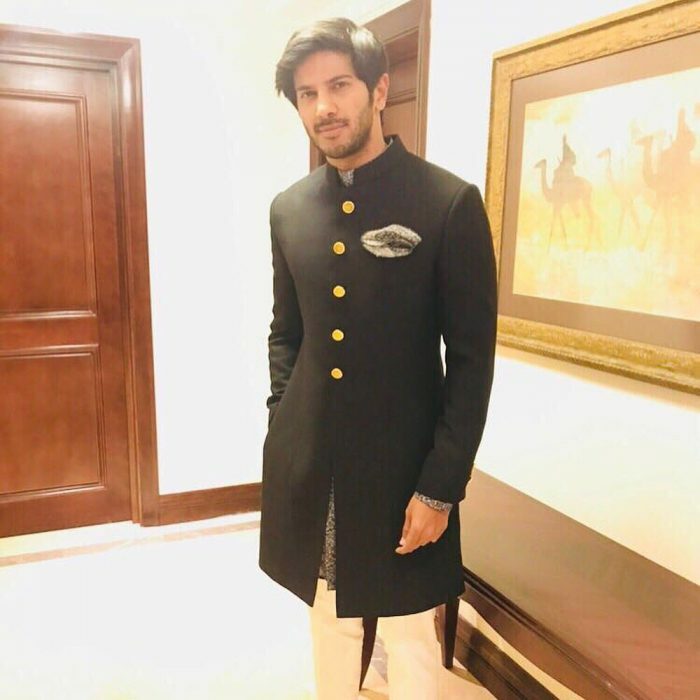 Dulquer Salman slays in a bandh gala as he was spotted at an event. The super dapper Dulquer Salman was recently spotted at an event looking all debonair. The popular Malayalam actor wore a black bandh gala with statement golden buttons pairing it up with off-white tapered pants and a grey printed pocket square. We love how he has kept it simple and formal yet adding a bit of his own style with that pocket square. We are totally crushing on this look let us know your comments too.